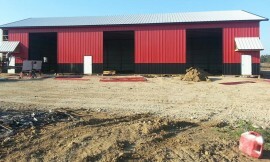 Forbes Adam and I recently discussed Dairyland Shrimp, his new shrimp farm in Westby, Wisconsin. 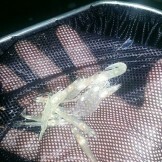 And how his 8-year-old wanted to name all the shrimp in one tank. Forbes: I got my first batch of shrimp in March, so I’m brand new! I’m still in the learning stage. I learn every day. I love it though. My first batch will be ready in June. Forbes: I grew up in Fowler, Indiana and my mom who still lives there sent me a newspaper article about the shrimp farms that were opening up in that area. I was immediately excited…and just felt it. 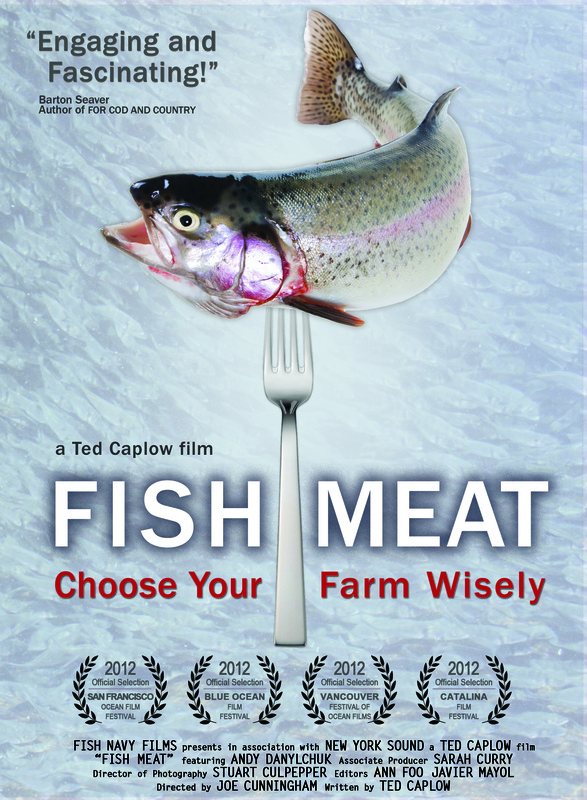 I started doing research for four months and the more I researched, the more I saw a need for sustainable seafood. So I took a road trip to Minnesota to see Chad Axley’s farm Northern Tide last July, and now, nearly a year later, I’ll be harvesting my first batch. And there’s a lot of interest in organic, local food here in Vernon County. 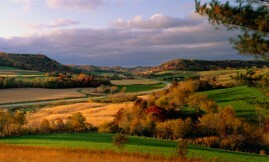 People come from all over to live here because it’s just so beautiful, and Organic Valley is in Cashton, the next town over. Forbes: I get them when they’re about a month and grow them out for about four months. Right now I have four tanks, but by June I’ll have 12 more. 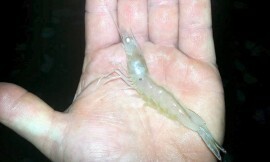 I plan on stocking them two or three weeks apart so that I can be harvesting fresh shrimp every two to three weeks. 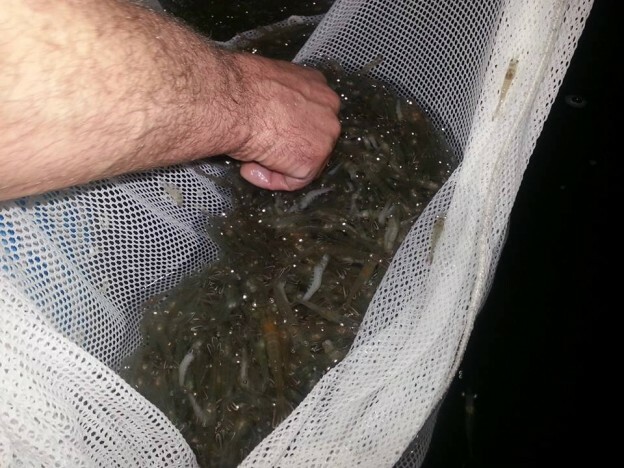 Forbes:I’m expecting about 250 to 300 pounds of shrimp per tank. Forbes: I’m hoping to harvest at around 22 count…so that’s roughly 20 grams per shrimp. Right now, a month in, they’re about four grams. Forbes: Originally my plan was to sell locally to individuals, and then at the farmers market. And after that go into high end restaurants and possibly grocery stores. I’ve had the order form up on my web site for two weeks and have already pre-sold 80 pounds of my first batch, so I don’t think I’ll be able to make it into those bigger markets initially. It was funny, when I first approached my local farmer’s market they said they didn’t have any more room, but once they found out I’d be selling shrimp, they said they’d make room! Forbes: The coolest thing for me is I love to be able to talk to people and I know that 8 out of the 10 people I talk to will end up buying shrimp from me, and that’s just so exciting. I’ve always been self-employed, as a contractor, and in this case, being able to offer a product that fresh and sustainable and locally grown, it’s just so motivating. And my 8-year-old son loves it! 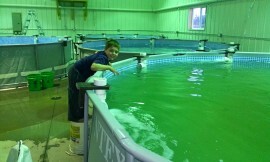 He knows how to test water and at one point wanted to name all the shrimp in one tank. But he quickly realized there were too many and he couldn’t tell them apart! Forbes: If it takes off, I may be able to sell to the Chicago market, which is about three and a half hours away. 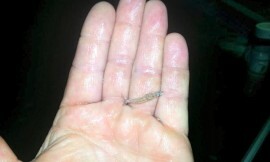 I have family in Chicago… maybe I can talk them into opening up a shrimp farm there. There’s definitely a need for it! I had no idea so many people love shrimp. I mean, where in Indiana, or Iowa, or Wisconsin can you get fresh shrimp?! As We discussed, Shrimp are a fairly nutrient dense food that is healing for many dis-eases and far superior to processed and junk foods. With your organic farming methods, you will be producing shrimp that are more nutritious than ocean caught shrimp that have been proven to contain toxic levels of metals and other toxic chemicals. Your love for Westby and Vernon County has inspired you to move forward and take on a trade that will stimulate business growth in the area. As you grow so will the need of employee’s grow. To quote Ralph Nader. ” Civic pride among a town’s citizen’s helps a town to grow”. Thank you everyone for the comments and encouragement!